I braved the Kendra Scott website (which kept crashing. It seemed the entire world wanted to take advantage of that sale!) and came up with this beauty. It is suppose to be a Christmas present from my hubby. The question is, is he going to make me wait? I'm arguing it's still summery enough for me to wear neon pink for at least a few more weeks! Then I took advantage of the C. Wonder 30% off sale, plus I had a 20% code that worked. AAAAMAZING! I may have added a few more items to my cart than I had originally planned because of this. I purchased a few more things that are not shown below. They are gifts so I don't want to show and tell just in case. What Labor Day deals did you score? 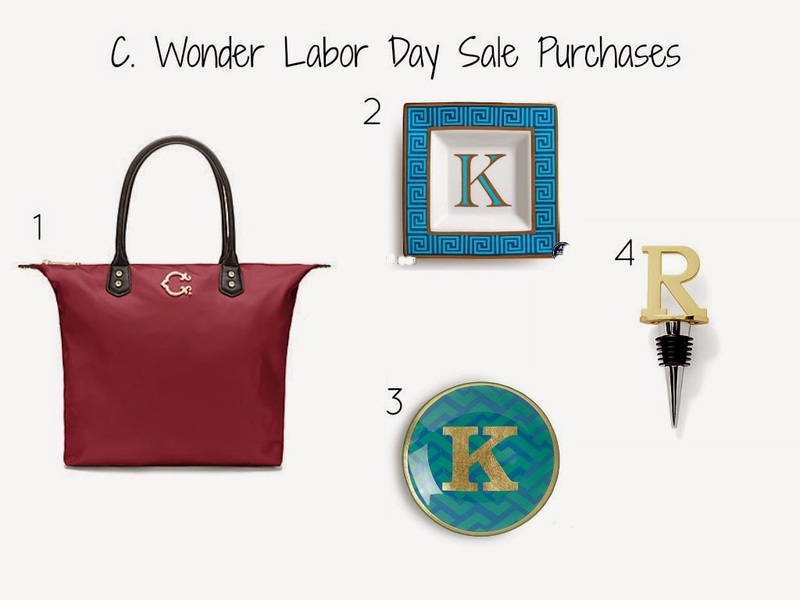 Love all your C Wonder purchases! Especially, the bag. That's going to be such a great fall staple! Also, totally jealous you're partially done with your Christmas shopping. I always wait until the end then am running around in a total panic! Thanks Caitlin! I had the same thought about the bag! And at 50% how can you go wrong! I used to always wait until the last minute for Christmas too, then I got married and the number of people we need to buy gifts for got a lot bigger! It's easier for me to shop early, instead of trying to save the $$ and shop in November and December. Whatever works, right? Thanks so much for stopping by! I really appreciate it!